I hope this letter finds you well. In Sweden winter is coming, today is a brilliant day with temperature a few degrees below zero and absolutely clear sky. I am in my kitchen with an eight week puppy sleeping on my foot. Life is good! The previous President’s letter was in July. Since then we have had three Webex executive committee meetings. This year’s last meeting will be beginning of December and we will all gather in Val d’Isère during the ABC-WIN congress. The most important news is that the Editor in Chief of our journal, Karel Terbugge, has resigned. Karel has worked untiringly for ten years as the EiC; since Pierre Lasjaunias sadly passed away in 2008. The workload has been considerable and the remuneration modest, to say the least. We all appreciate very much Karel’s tremendous effort and the WFITN owes him a lot. Last but not least, Karel is supporting and facilitates the handover procedure to the new Editor-in-Chief. Thank you so much, Karel! The new Editor-in-Chief is Prof Masaki Komiyama from Japan. MK is the Director of Neurointervention at Osaka City General Hospital. He has considerable experience as an editor, having been EiC of the Journal of Neuroendovascular Therapy from 2007 to 2010 as well as section editor in both Neuroradiology and Neurologica Medico-Chirurgica. MK has published extensively and is first author on more than 100 papers. He has a great reputation as an expert in neuroanatomy and various neurovascular conditions. We are very glad that he has decided to accept the position as EiC of our journal and we are all looking forward to work together to further increase the quality and importance of “Interventional Neuroradiology”. Masaki, welcome in our team! In the current constitution the quorum (minimum number of participants) during the General Assembly is defined as one fifth of the total number of voting members. As the number of members have increased there have been problems reaching the quorum; unfortunately we did not reach it during the General Assembly in January 2018. Therefore the WFITN now summons an Extra GA, Tuesday January 15th, prior to the “ordinary” GA, to close outstanding issues and to vote on a constitutional change regarding the quorum and proxy voting. Please read the proposal on the WFITN website: https://www.wfitn.org. Our Vice President Allan Taylor has been working on the constitutional changes above and also on modifications necessary to create a Federative Assembly. The aim is that this group will manage recommendations, collaboration with other societies and other matters where international teamwork is an advantage. Allan has also addressed the WFITN voting system. This second proposal for changes in the constitution will be discussed during the GA. Please read also this proposal on the website. 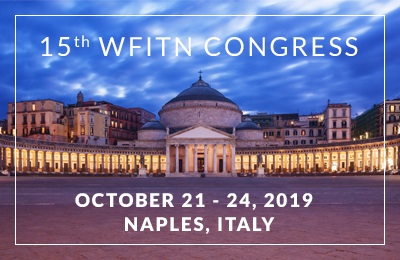 Alessandra Biondi and Mario Muto are now well on their way preparing for the WFITN biannual congress in Naples 2019. The scientific program will be very interesting and I am sure this meeting will be success! 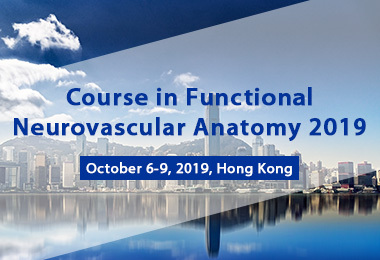 We will look into the latest results in stroke, aneurysm and AVM treatment, scrutinize new devices, discuss the effects of emotional stress and have a session on radiation protection. The WFITN will host the second meeting of “Women in Neurointerventional Practise”, there will be joint sessions with AAFITN, ESMINT, SNIS and an extensive program for nurses and technicians. Be sure to review the website: http://www.wfitn2019.com/ for the latest updates. There will be grants for traveling and participation in the congress, these will soon be displayed on the congress website. Grants are managed though the WFITN Endowment fund, now fully functional. Our treasurer Darren Orbach has spent considerable efforts handling the bureaucratic red tape but at last everything is in order.